The origins of the Penrice Estate can be traced back to the twelfth century when a Norman knight took the name of de Penrice and was gifted the land that became the Estate. A mile from the coast, Penrice Castle has panoramic views over Oxwich Bay. 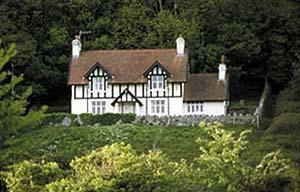 On the Estate are sixteen lovely self catering Gower holiday cottages, sleeping between two and eight. Bookings are from Friday to Friday. Bayview Cottage Prices from £500pw to £1500pw in high season. Situated in Penrice Village. Sleeps 6-7. Private parking. Gas central heating. A typical detached Gower cottage overlooking the village green. It has a lovely enclosed garden with wonderful sea views. Beamed ceilings and an open fireplace, flat screen tv and DVD. One double bedroom, one twin bedded room, one single room and a single room with a pull out bed. The stable outside has a ping pong table and darts board and there is an outside additional toilet. 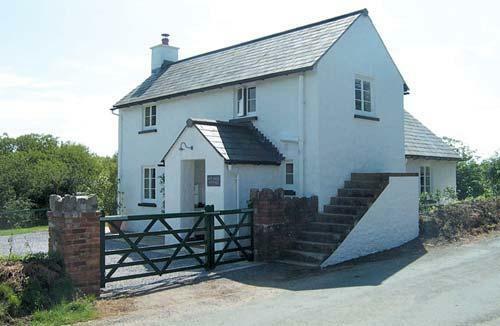 Church Cottage Penrice Village prices from £415pw to £1115pw in high season. Sleeps 4. Gas central heating. Church Cottage is the oldest of all the Penrice cottages. It is on the green facing the church. The village clockmaker used to live here. It has a lot of old fashioned charm and atmosphere with a lovely enclosed cottage garden and large grounds. One double bedded room and a twin bedded room with a downstairs bathroom with shower over bath. Open fire the dining hall and a cosy sitting room with beams, log burner and a flat screen tv and DVD. 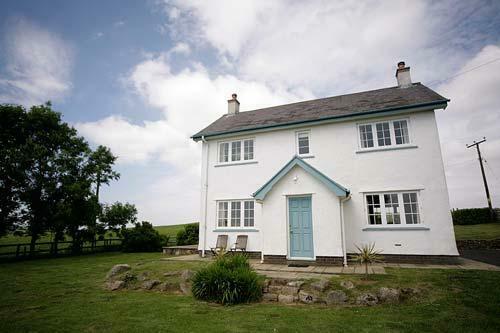 Penrice Old Farmhouse Prices from £735 to £2040pw in high season. Sleeps 8. Gas-fired central heating. An imposing detached large farmhouse with extensive lawns and attractive outbuildings, including a listed Granary on staddle stones. A good holiday home for families who like plenty of space. This house also has the added advantage of an additional second sitting room and a games room where table tennis, darts are available. Two king size bedded rooms and two twin bedded rooms. One bathroom and one shower room. Back Field - Prices from £660 to £1815 in high season. Three bedrooms, sleeps up to 6. Originally Back Field belonged to the adjoining Penrice Old Farmhouse as the animal sheds. 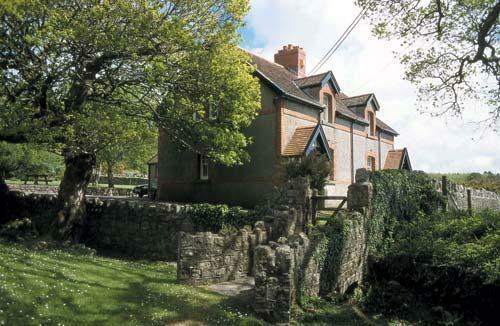 During 2008 the property has been lovingly converted into top quality holiday accommodation. It is an 'L' shaped property with a very interesting exposed vaulted ceiling. There is a large kitchen/dining room and a good sized sitting room with a log burner and a flat screen television. The bedrooms have en-suites, two with baths with showers above and one of the doubles has a shower room. Both the doubles have king size beds. The house is light and bright with a mix of old and modern. Outside there is a large lawned area, a small patio with seating and a barbecue. There is a separate driveway to that of Penrice Old Farmhouse and a fence between the two properties. The garden is quite private with seasonal views across Penrice Top Park. Short breaks are available form October to Easter but not school holidays. 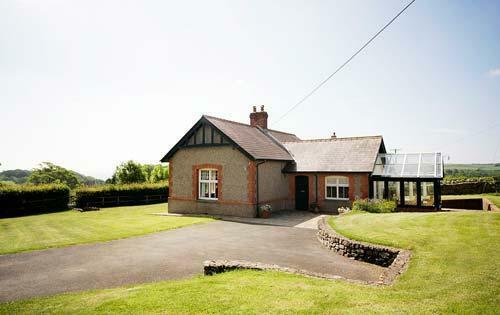 Ideal property for children and the elderly as it is all on one level. Garden House -in Penrice Park Prices from £735 to £2040 in high season. Sleeps 8. Gas central heating. An enchanting detached house set in the park with its own private enclosed garden. Garden House was originally the head gardener's house. The old walled kitchen garden lies behind. Two double bedded rooms and two twin bedded rooms. One bathroom and one shower room. Hillside Cottage - Penrice Village. Prices from £395pw to £1020pw in high season. Sleeps 4. Gas central heating. One of the original Gower Cottages built by the Penrice Estate at the end of the eighteenth century. Hillside is a small cottage with two bedrooms and lots of charm. It has a small garden at the front and a larger raised lawn at the back with a lovely view of the countryside. One double bedded room and one twin bedded room. Shower over the bath and additional downstairs cloak-room. Very traditional, cosy cottage. Marsh View - Penrice Village. Prices from £500pw to £1500pw in high season. Sleeps 5+1. Gas central heating. The Estate's head carpenter used to live here. 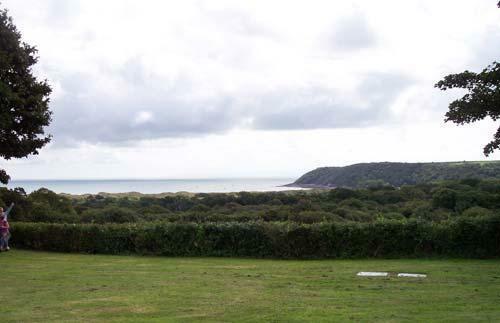 The views overlooking Oxwich Bay are wonderful and there is a large enclosed garden. One double bedded room, 1 twin bedded room and one single bedded room with a pull out full size guest bed. Bathroom with shower over bath. Cosy sitting room with open fire, flat screen tv and dvd. Farmhouse kitchen with log burner. Pitt Soggs Cottage- outskirts of Penrice Village. Prices from £430pw to £1310pw in high season. A recent conversion of an old building with a traditional exterior but a more modern interior. Sleeps 4. Underfloor gas central heating. Open plan layout downstairs. One double and one twin bedded room upstairs. one bathroom and one shower room. Very pretty traditional cottage outside with a modern twist inside. The Kittles Prices from £430pw to £1310pw in high season. A recently renovated cottage built in the twentieth century with beautiful views over Penrice Park and Oxwich Bay in the distance. Sleeps 4. Gas central heating. One double and one twin bedded room upstairs with a bathroom with shower over the bath. Additional cloakroom downstairs. Rose Cottage Penrice Village. Prices from £580pw to £1670pw in high season. Beautiful views of Oxwich bay. Formerly the village inn called The Rising Sun where Dylan Thomas spent many school holidays. Sleeps 6. Gas central heating. One double bedroom, one bedroom with a king size bed and one twin bedded room. Bathroom with shower over bath. Additional downstairs cloakroom. Sea View Cottage Penrice Village. Prices from £415pw to £1115pw in high season. A typical detached Gower cottage that was once thatched. Overlooking Penrice Village Green. Sleeps5. Gas central heating One double bedded room, one twin bedded room and one single bedded room. Downstairs bathroom with shower over bath. Estate Office Cottage Prices from £395pw to £1020pw in high season. A one storey two bedroom cottage, overlooking Penrice Park. Originally the Estate Office where tenants would come to pay their rent. Sleeps 3. Gas central heating. Suitable for poor mobility. One double bedroom with twin beds and one single bedroom with a 3ft 6 inch adjustamatic bed. Large bathroom with bath and separate shower. Martha's Cottage Hayes Lane. Prices from £390pw to £990pw in high season. One of a pair of semi-detached cottages up a little lane surrounded by fields and woods. Sleeps 5. Gas central heating and an open fire, flat screen tv and DVD. Shared enclosed garden. One double bedroom, one twin bedded room and one single bedded room. Downstairs bathroom with shower over bath. Very pretty cottage recently updated. Shepherd's Cottage Hayes Lane. Prices from £390pw to £990pw in high season. The second of a pair of semi-detached cottages up a little lane overlooking fields and a wood. Sleeps 4. Gas central heating and an open fire, flat screen tv and dvd. Shared enclosed garden. One double bedroom and one twin bedded room. Upstairs bathroom and additional downstairs toilet. The Towers is a one bedroom gatehouse that looks like a mini- Norman castle. Both the bedroom and sitting-room are round as they are located in the tower itself. The Towers has just undergone extensive restoration to a very high standard and would be ideal as a honeymoon or romantic break location. Sleeps 2. £385pw to £790pw. Gower was the first Area of Oustanding Natural Beauty, and has hardly changed since. There are beautiful beaches all within a short distance. Some fanatstic moorland and woods suitable for long walks. What could be better than at the end of your walking enjoying lunch in one of the local country pubs we have to offer. If you are into watersports there are beaches for surfing, wind surfing, swimming and boating plus lots more. Oxwich also has a company called Euphoria which hires out specialist water equipment, and Oxwich Beach was voted Best Beach in Britan by the Travel Magazine in 2007. Boat rides around the peninsula are always very popular and there is plenty of wildlife to see. Birdwatching, horse riding and golf are also very popular in the area. On a rainy day then just 30 mins away is Swansea itself, with art galleries, museums, a new leisure centre, marina,ten pin bowling, cinemas and of course one of the biggest indoor markets in Britain plus all of the usual department stores and lots of smaller shops. Mumbles, a few miles from Swansea, is also great for individual shopping with lots of boutiques and restaurants plus the famous Joe's icecream parlour. Penrice Estate owns Oxwich Bay which was voted the best beach in Britain 2007. We have a lovely sandy beach which is safe for children. There is a large car park which is free to our guests. Euphoria watersports work from the beach providing boat trips, wind surfing, water skiing and many more activities. Ideal for families there are two beach shops supplying snacks etc and toilets available. There is also a hotel on the beach offering bar meals. At Perriswood just 5 minutes away there is an Archery centre that also has a number of birds. Parkmill Heritage centre has plenty to offer for the younger members of the family and is no more than 10 minutes drive. Payment information: Gas and the electricity are included in the price, as are the logs for the fires. We also supply all bed linen except cot linen. A travel cot and high chair are included in the cost. Additional cot and high chair sets are £10 extra. Dogs, a maximum of two, are £15 each per week. Towels are supplied in the weekly cost. 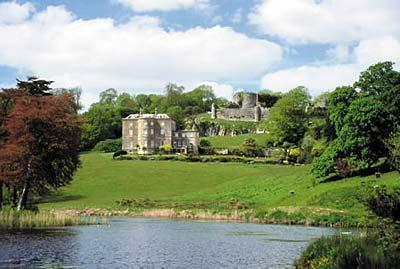 Full use of the park and gardens at Penrice Estate and free entry to Oxwich Beach car park is also included. If more than 8 weeks before arrival a one third deposit is taken on a debit card. If less than 8 weeks before we take full payment.